Bell peppers have a little secret! Bell Peppers are all the same your thinking, well your misinformed there is a difference that you may want to know. 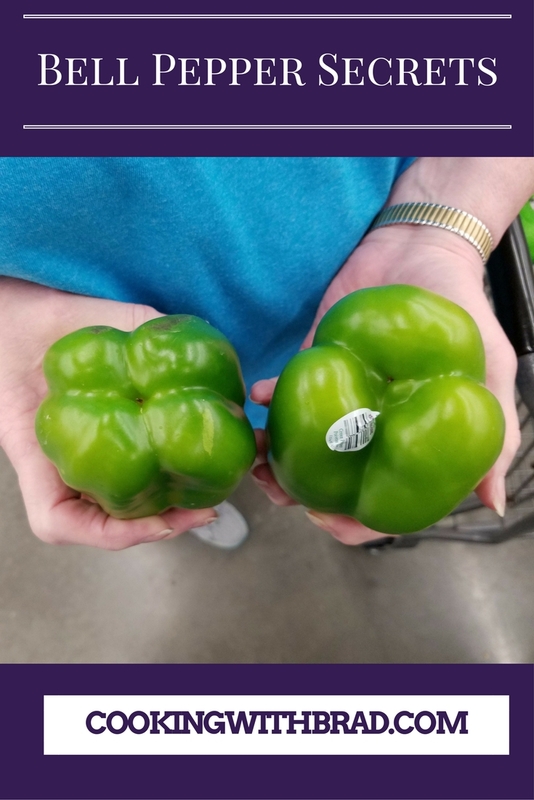 If you look at the picture you will see that the bottoms of the two green bell peppers are not the same. One has three bumps and the other has four. Do you know the difference between the two peppers? The one on the left is a Female and the other is Male. One is sweeter than the other. It is the Male that is sweeter, what do you think about that? When cooking the peppers I don’t think that you will notice a difference in the flavor but eating them raw without and dipping sauce to mask the taste you can taste the difference. At your next party you can share this information and have small tasting going on. My input on the peppers is that the male has a milder taste and better for cooking, my opinion. Red, Yellow and Orange are not bitter like the green bell peppers. The green ones are unripened red peppers, thus the bitterness. They are usually used on salad. I have found the orange male are really tastey, as are the red and yellow.